This is a thread for any and all the LEGO game's questions and overall discussion. Is lego pirates out yet? If so has anyone played it? Yes it's out and it is a pretty fun game. A easy 1000 GS as is any LEGO game. But it did do some new things with character selection in free play opening up all chartecters for use. Lego Indiana Jones (the first one) was a mistake, I'm glad they made the new one. I just played the lego pirates demo about a month ago. Best demo ever. Indeed. I have played a few but they were not my style. Brother-in-law just bought a 320 gb hard drive for his 360s and it came with a Lego Star Wars III download code, he was not interested in it so gave it to me. I've always liked the lego star wars games. I have played and beaten all the episodes and games for it except this one. Who's up for some ODST Firefight!? I enjoy the LEGO games, I hope to see a Lord of the Rings LEGO game. I figure there will be one with the LEGO sets coming out at the end of the year. I've only played a little bit of LEGO Star Wars III, but it seems to be the best LEGO game so far. Beatiful graphics and awesome animations for each character. WB Games and TT Games have announced Lego Marvel Super Heroes 2 and released a teaser for the upcoming sequel. Warner Bros. press release has announced that the game will be released on November 17 for PS4, Xbox One and PC, with a Nintendo Switch version to follow in time for Christmas. The video also confirms a full-length trailer for the game will be released on May 23. 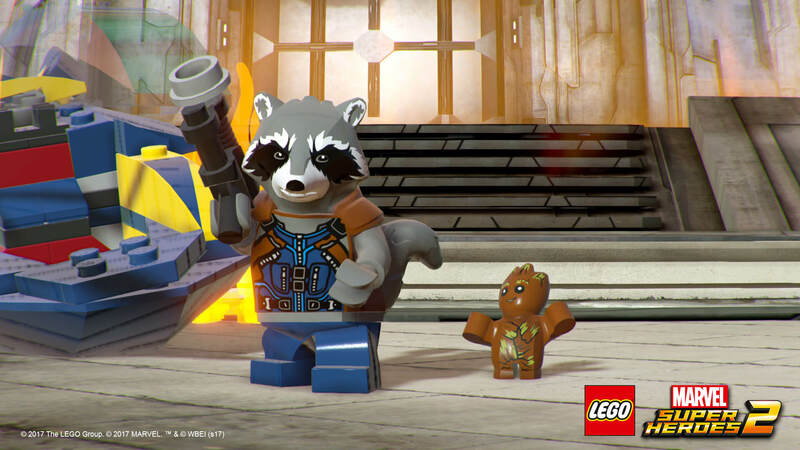 Lego Marvel Super Heroes 2 will no doubt feature characters and plot points from the most recent crop of Marvel movies. The official video for Marvel Super Heroes 2 is out and WB Interactive has announced that the comic Kurt Busiek will be co-writing the branching storyline. LEGO Marvel Super Heroes 2 will release November 17th.